Setting up a new website can be hard to figure out on the best of days, but what do you do when phrases like, “DNS propagation” begin to jump out at you? The chances are that you’ve already encountered this confusing terminology as you proceeded through your domain name registration, paid for website hosting, and began to upload files to the server. But what is it and how does it affect you? After registering and paying for website hosting, you probably began to set up your new website right away. From placing content to changing color schemes, you arranged the perfect look and feel. But when you tried to take a look at your creation, the website didn’t appear. Even hours later, you can’t see it! What happened? This is not the cause of a slow server or a poor hosting site, but merely the work of DNS propagation delay. When a website is first established, the server makes a record of it in a master database that a domain registrar – the company that owns your domain name – maintains. When someone wants to know how to find that website, their request is directed to the registration database which contains information on the specific server the site is located on and its IP address. DNS propagation delay is what happens when all of those steps are still being integrated into the system and are not yet available. Before we go any further, let’s first review a few terms that will help in understanding this concept. DNS stands for Domain Name System. 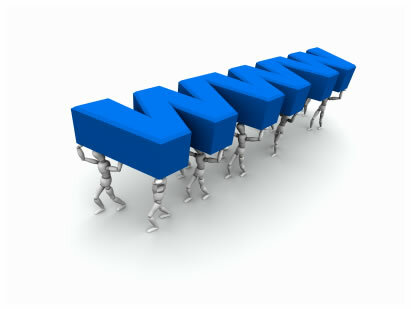 A domain name is the words or phrase that you type into a web browser or search engine program to find a website. It’s basically a code word for the numeric indicators that point to specific places on the internet, known as internet protocol (IP) addresses. Much like you use a phone number to call someone, the domain names “dials” the IP address. The reason a domain name is necessary is because it’s much easier for us to remember an actual phrase than a string of numbers when we want to visit a favorite website. The server, of course, is simply a machine that is currently up and running and providing services (such as websites, text documents, etc.). So how does this relate to you not being able to see your website, either immediately after setting it up or when you make changes to it? Think of it this way: when you move to a new house, you have to set up a mailing address with the post office or none of your mail will ever reach you. Likewise, when you pick out your domain name and register it, you’re letting everyone know where they can find you. However, turning in the change of address form at the post office doesn’t mean that mail will instantly arrive in your mailbox. Neither will your website be available to anyone surfing the internet the moment you have registered it with a website hosting service. In both cases, the systems that direct information to the correct destination must be notified that a change has been made to that address (this is why you may experience the same problems even if the website has been established for some time and you have only made changes to it). An automated system at the post office catalogs the new address with your name and tells all incoming mail to reroute from the old address to the current one. Then it sends this information to a database so that all the material associated with your address is available anywhere in the country. A very similar conversation takes place between DNS servers in regards to where your website is located. However, like the post office, the computers must process and send out this information, and that can take time. An added frustration can be the waiting period for the domain name registration to go live, which can take days in some cases. Again, this is perfectly normal. Every website hosting service uses its own database in which they place the information about your website. The process in which it updates to the various server caches varies from 24-72 hours for the changes to take complete effect. This is not so different from the mail you want forwarded to your new home. Even once the new information has been entered into the postal system’s database, your mail must still be received, sorted, then, finally, delivered by the postman. Your website, too, must be “delivered” to the server before anyone can access it. This scenario is what is known as DNS propagation, when the information about your website is being propagated across all web servers. The time it takes for the site to become visible is determined by the hosting service itself. Each company differs in the way they cache the information in their own systems and how often they do so. Some will only update their records every few days while, for others, it takes mere hours. DNS propagation usually completes in a period of about three days at most. Since there is no industry standard, however, it might take less time. If you happen to experience problems after the three day period, then it is time to get in touch with your website hosting service. Most hosting companies helpfully provide information about how long these procedures should take through their system. Use that number to determine when you should contact someone for troubleshooting.